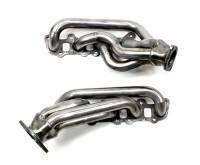 JBA is dedicated to engineering and manufacturing quality exhaust and performance products that exceed our customers expectations while providing unparalleled service. 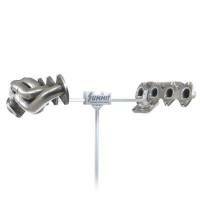 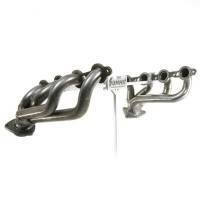 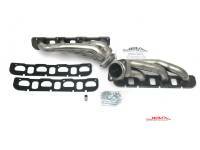 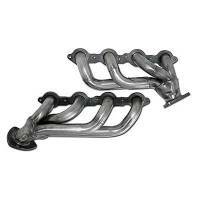 PitStopUSA.com offers a variety of Ford 5.4L Modular V8 Shorty Headers from the biggest brands in drag racing including Hedman Hedders Ford 5.4L Modular V8 Shorty Headers and more at low everyday prices. 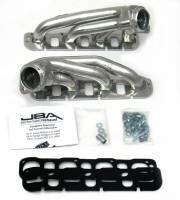 When you look to improve the performance of your personal transportation, be assured that JBA has made every possible effort to offer you, the consumer, the very best in high performance exhaust and performance products. 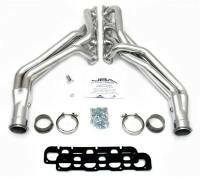 Our mission: JBA is dedicated to engineering and manufacturing quality exhaust and performance products that exceed our customers expectations while providing unparalleled service. 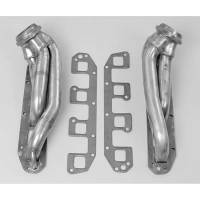 Originally developed for the 5.0L Mustang, JBAs direct replacement shorty headers were engineered with heavy-duty features, easy installation, a durable design and emissions legal status made them an instant hit with automotive enthusiasts across America. 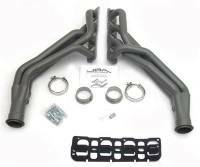 As demand grew and emissions regulation increased, we saw the need to broaden our product line to cover most popular GM, Ford, Dodge, Jeep, Nissan and Toyota vehicles. 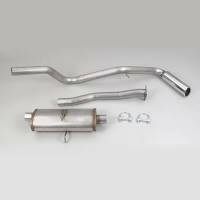 We have applied our manufacturing philosophy and build qualities to our entire product line to offer you the most complete line of quality 50 state smog legal* exhaust products in the industry. 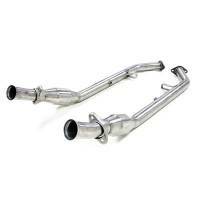 Today we offer a variety of products to meet the demands of the performance enthusiast. 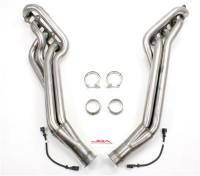 JBA Cat4ward Headers, JBA Evol Exhaust Systems, JBA PowerCables ignition wires and our new line of long tube and mid-length headers.